A soft-spoken statement of everlasting beauty, this pale pink and white sheaf shares your heartfelt sympathy with style and grace.Flowers are subject to seasonal availability. 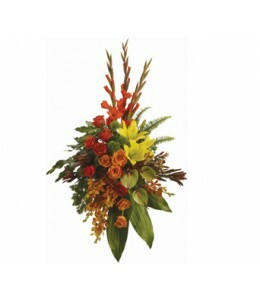 In the event that any of..
A graceful modern funeral spray of warm colours, it includes flowers such as anthurium, roses and tropical greenery.Flowers are subject to seasonal availability. 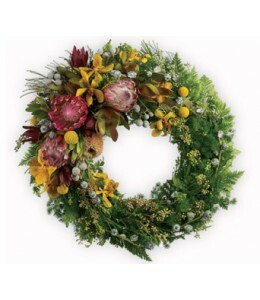 In the event that any of the flowers a.. 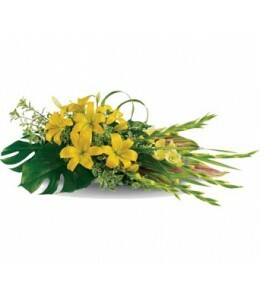 Send your warmest wishes and celebrate a bright life with this sunny spray of lilies and gladiolus.Flowers are subject to seasonal availability. 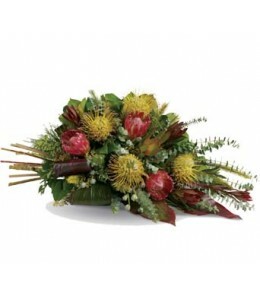 In the event that any of the flowers are unavailable, t..
Breathtaking, this native spray sheds light on memories that will be forever treasured.Flowers are subject to seasonal availability. 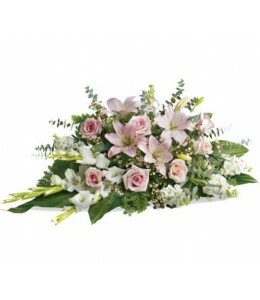 In the event that any of the flowers are unavailable, the florist w..